SPELD NZ a not-for-profit organisation, providing highly specialised help for those with specific learning disabilities such as dyslexia. Since the 1970s, we’ve turned around the lives of many thousands of children and adults. Our methods are research based and proven to greatly enhance educational and cognitive ability. We offer diagnostic assessment and one-on-one, individualised tuition, resources and support for learners (see below). Families can come directly to us. Schools/organisations can also become members of SPELD NZ. Read about the benefits here. Looking for strategies and tools to create a dyslexia-friendly classroom? Here are some excellent ideas. Expert teachers from two world leading dyslexia schools share their wisdom in this 7 minute video made by UK- based Made by Dyslexia. The Ministry of Education also provides detailed resources for educators on dyslexia, dyspraxia and Attention-Deficit Hyperactivity Disorder (ADHD). If families are struggling to cover the costs of assessment and tuition, we may be able to help them with financial assistance. 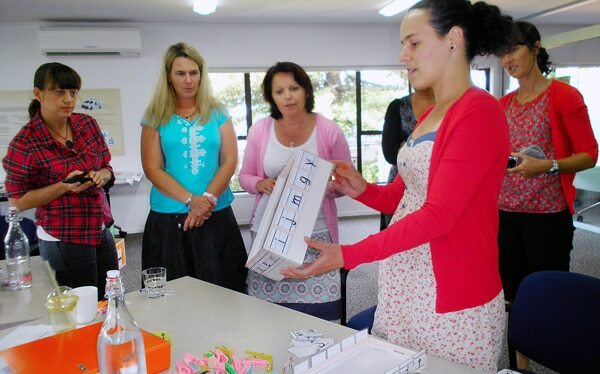 SPELD NZ also offers training and professional development for teachers, SENCOs, teacher aides and caregivers. We provide scholarships for training in some areas. SPELD NZ Assessors hold an NZCER C Grade and have successfully completed the SPELD NZ assessor training course. Our assessors use the Woodcock-Johnson assessment tool. This is an internationally recognised, Australasian normed, assessment battery of cognitive & educational achievement. These assessments are accepted by NZQA for Special Assessment Conditions for NCEA examinations. SPELD NZ teachers use these assessments to create individual profiles of cognitive and educational achievement strengths and weaknesses for their students. From these profiles, individual teaching plans and term plans are developed to target students’ particular needs and strengths. All SPELD NZ teachers have completed our Level 5 NZQA-approved Certificate Course in Specific Learning Disabilities. They are fully qualified school teachers with classroom experience. Many SPELD NZ Teachers are now invited to work with students in schools where there is appropriate space for one-on-one lessons. Working collaboratively with SPELD NZ will help your school cater to the needs of students with disabilities and align with the proposals in the Government’s Draft Disability and Learning Support Plan. SPELD NZ offers NZQA-approved courses and professional development for teachers, special educational needs coordinators (SENCO), teacher aides, families and caregivers. We also host conferences and from time-to-time run community presentations and parent information evenings. You are also welcome to call us on call 0800 773536. What does a SPELD NZ assessment diagnose? If you have serious concerns about your child’s learning abilities, the first vital step is a full diagnostic assessment. Once we’ve received your SPELD NZ membership fee and enrolment forms, we can refer you to one of our SPELD NZ Assessors. The report is written for both parents and professionals so it includes some technical language. However a clear summary is included and your SPELD NZ Assessor will be happy to answer any questions. The assessment report will also help educational professionals working with you/your child to target the areas of weakness. It may also help your child access Special Assessment Conditions (SAC) in NCEA and Cambridge exams. Please note: While the assessment does not diagnose behavioural conditions such as ADHD or ADD or Spectrum Disorders, assessors may note indications of these. How do I get a SPELD NZ Teacher for my child and what does tuition involve? If the Assessor’s report recommends one-to-one tuition, the next step is to contact your regional SPELD NZ Office. We have a national network of SPELD NZ Teachers and will aim to refer you to one who is based as close as possible to where you live. Usually lessons are one hour, once a week, during school terms. Teachers normally work from their homes or in some instances, tuition can take place at a child’s school. All our teachers are qualified classroom teachers who’ve passed our 400 hour, NZQA-approved training course. Based on the assessment findings, they develop an individualised one-on-one teaching programme which uses a student’s strengths to build up their weaknesses. NB: All membership fees include GST. Benefits of membership include a discounted rate for our SPELD NZ assessments and tuition, our magazine several times a year, free use of our library resources, discounted rates for our introductory courses and the ability to apply for financial support for those with proof of low income. From time to time, we also receive free tickets to children’s shows which we give away to our members. Please note we receive no government funding. We rely on memberships, donations and fundraising to maintain our services to the community. A SPELD NZ assessment for members generally ranges from $450 to $540 (plus GST if any). This includes assessment time, materials, the analysis of the results and the full report. SPELD NZ one-on-one tuition for members ranges from $30 to $90 (plus GST if any) per one hour lesson. Can I get financial assistance to help cover the cost of assessment and tuition? SPELD NZ continually fundraises to help subsidise our services for those on low incomes. We may be able to provide financial assistance for assessment and tuition if you have a current Community Services Card or can provide evidence of low income or hardship. Please call us to find out whether you’re eligible for financial assistance on 0800 773 536. Why does SPELD NZ assessment and tuition work so well? Learning issues are often a sign that a child’s brain works differently. We know from experience that the earlier the one-on-one specialised support, the better the outcome. 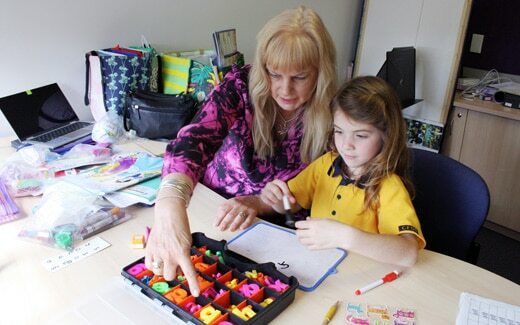 SPELD NZ aspires to very high professional standards and we use proven, research-based methods to greatly enhance learning outcomes for children with dyslexia. 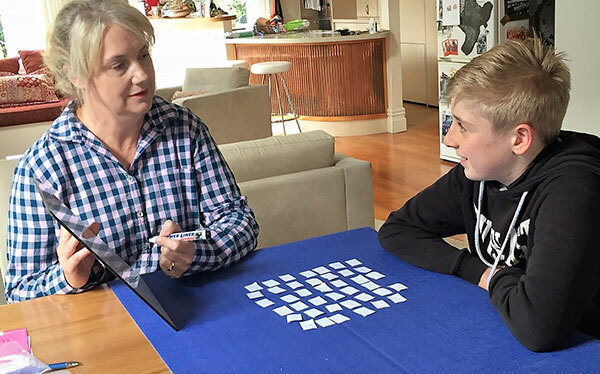 The University of Auckland’s Associate Professor of Psychology, Karen Waldie, noted that SPELD NZ intervention resulted in “vast improvements in thinking ability, cognitive fluency and processing speed”. What age should you be to have an assessment? The Woodcock-Johnson assessment is used to test for dyslexia and other specific learning disabilities in pre-schoolers to those in their 90s. Research shows many benefits of early identification and intervention. However, parents/caregivers of children aged under 7 to 8-years-old should note that it’s difficult to make a definitive diagnosis of dyslexia and other specific learning disabilities for this age group. However, the assessment can identify where difficulties are likely and the assessor can make suggestions to help future learning. Individual lessons can still help a child under 7 to 8-years-old who is significantly behind in reading. A firm diagnosis can usually be made for children aged over 7 to 8 years, by which time they should have mastered the basics of literacy and numeracy. The time taken for an assessment depends on the capabilities of the person being assessed, (e.g. their age, processing speed and attention span) and the purpose of the testing. The assessment may be split into two sessions: your assessor will discuss this with you. Usually the parent doesn’t stay during the assessment. Please talk with your assessor before the assessment if you feel that, because of special circumstances, you should attend the assessment sessions. The report should be available within three weeks of the assessment date. The report will be sent to the person who has paid for the assessment, unless other arrangements are made. What about assessments needed for Special Assessment Conditions for exams (SAC)? Our assessments are recognised by NZQA for Special Assessment Conditions (SAC) for exams such as NCEA. Due to NZQA’s SAC requirements, extra testing may be needed and this could mean extra time and costs. Your SPELD NZ Assessor will discuss these with you prior to the assessment taking place. It is important to note that the assessment report is only one part of the SAC application. The school is responsible for making SAC applications and NZQA makes the final decision. Are any tests needed before the assessment? We strongly recommend that vision and hearing tests are done before assessment so that these issues can be ruled out as barriers to learning. Hearing and vision tests may be available free of charge for Community Services Card holders or some audiologists and opticians provide simple hearing and vision tests for free. If the assessment is needed for SAC (Special Assessment Conditions) for exams, you should ask your SPELD NZ Assessor what information the school should provide. Find out how SPELD NZ has helped both children and adults overcome their struggles with dyslexia and other specific learning disabilities.